NOTE: This content is old - Published: Monday, May 28th, 2012. 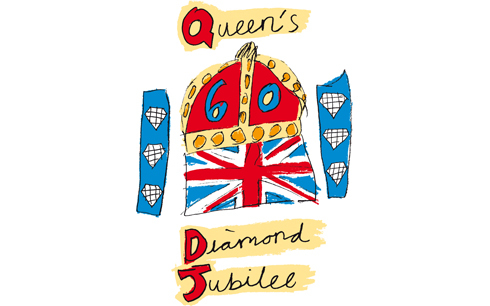 With not long to go until the Queen’s Diamond Jubilee we have written up a guide to events happening in Wrexham to celebrate the Queen’s 60th year as monarch. The main celebrations will centre around the extended weekend of the 2nd-5th June. Overall Wrexham Council have told us there will be 15 events which require complete road closures at St Giles Crescent, Wrexham, Duke Street, Ruabon, Wynnstay Lane, Marford, Tan-y-Garth, Pontfadog, Market Square, Llay, Oak Road, Ponciau, Acton Gate, Wrexham, Alexandra Road/Empress Road/Princess Road, Wrexham, Y Gamer, Glyn Ceiriog, Queens Square, Chirk, Yale Grove, Acton, Weston Road, New Broughton, Chatsworth Gardens, Pandy, Acton Road, Wrexham and Edward Street, Wrexham. One of the most exciting events taking place is the lighting of three beacons across Wrexham on the night of Monday 4th at St Giles Parish Church, Overton playing fields and Holt Church. 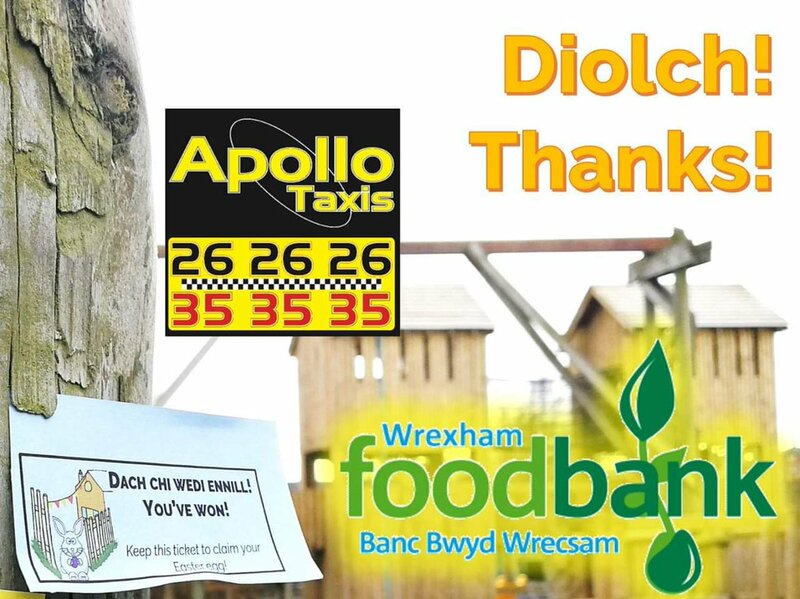 If you’re putting on an event or know of one in your area that we missed then send in details to news@wrexham.com ASAP and we’ll add it in. Gwersyllt Resource Centre is set to mark the Queen’s Diamond Jubilee in style by opening their dedicated Rose Garden on Wednesday at 2pm. Local residents are invited to attend the celebration where the Mayor and Mayoress of Wrexham will raise the British flag to mark the garden officially open to the public. Jubilee celebrations will be held at Brambles Day Nursery at Yew Tree House, Rogers Lane, Gwersyllt. 3pm-5pm. Call 01978 759870 for more info. The Old Black Horse Pub in Rhostyllen is having a fun weekend to celebrate the Jubilee starting on Friday with a karaoke night. On Saturday and Sunday in the day there will be a fun fair, bouncy castle, face painting, bucking bronco, refreshments and BBQ. On Saturday evening there will be a karaoke and disco and on Sunday night local band Out Of Order are playing. On Monday some young local up and coming bands will play through the day with BBQ and karaoke at night.Finally on Tuesday afternoon there will be refreshments and sandwiches with bingo. Call 01978 449533. Cefn Residents Association are celebrating with a Jubilee picnic at Caeo Glo in Cefn from 2-4pm. The Pant Yr Ochain near Gresford is having a special jubilee menu and beer as well as jubilee garden games from 3-5pm every day from Saturday 2nd-Tuesday 5th June. Games include apple bobbing, pin the tail on the donkey and a hoola hoop competition. From Saturday there will be four days of celebrations in Chirk kicking off with a 1950s theme night at Chirk Parish Hall from 7pm. Live band Cargo will be performing, tickets cost £5. On Sunday there will be an afternoon garden party at the Hand Hotel with live bands and at 6pm an open air church service will be held at Chirk Recreation Ground. Sunday’s celebrations will culimnate with a talent show at the Hand Hotel from 7.30pm. On Monday the party will really kick on with a carnival day featuring floats, jubilee queens and princesses, vintage cars and more. Entry is free and fancy dress will be judged at 1pm. 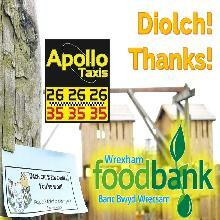 There will be a large number of local stalls and a fun fair. On Tuesday live bands will play at Chirk AAA from 7pm and to finish with a bang there will be a grand fireworks display from 10pm at Chirk Recreation Ground. The Red Lion on the High Street in Coedpoeth are having an outdoor car park party to celebrate the Queens Jubilee from 12 noon. There will be music and lights in outdoor tents, a BBQ, cake stall, outdoor bar with drinks offers for the adults, face painting, children’s play park, bouncy castle, Hook a Duck and lucky dip for the young ones. A short children’s show will also be put on by the pub’s mascots – Dino the Dude, Quirky the Squirrel, Cuddles the Bear and The Big Boss Hedgehog. All families from the village and other areas are welcome to attend although there will be no parking facilities at the pub, there is a public car park a few yards up the road available for use. A community picnic is taking place on the field by Isycoed Village Hall starting at 1pm. In Holt the events start at 1.15pm with events including a parade through the village, a magic show, BBQ, afternoon tea, fancy dress, dance games, prizes and a family disco. Llay Royal British Legion are holding a garden party from 2pm, includes a bouncy castle, fairground rides, disco, karaoke, food and drink. Entry free. The White Horse in Overton will host a party in their beer garden with a barbecue from 3-6pm. Room for 100 who are invited to take a picnic along. Booking essential, call 01978 710111. A jubilee garden party is taking place on the green by Ffordd Garmonydd in Little Acton from 1.30pm. Includes food, drinks childrens activities and a fire engine. There will be a street party on Weston Road in New Broughton with the road closed off completely from 1-11pm. Party starts at 3pm. A big jubilee party will be held on Llwyn Isaf outside the Guildhall in Wrexham town centre. The family event will take place from 3-8pm. Families are being invited to bring a picnic and a chair to join in the festive atmosphere, includes live bands, stalls and food and drinks. Then on Monday evening several beacons will be lit across the county borough to join those nationwide. Wrexham Council will be lighting a beacon on the top of St Giles Church to mark the Diamond Jubilee. The beacon will be lit at 10.15pm and you should be able to get a cracking view of it on our St Giles webcam. Overton Scouts Group will also be lighting a beacon at Bryn Y Pys park in the village (near the cricket pitches). Starts 8.30pm with a hog roast, refreshments and music. The beacon will be lit at 10.10pm. At St Chads Church in Holt the beacon will be lit at 10.20pm. Wrexham District Scouts are lighting a beacon at their district campsite at Cox Wood. The beacon will be lit by campsite warden Brian Doyle. Back in 1953, Brian was a Senior Scout and lit the Coronation Beacon above Prestatyn now, just as Her Majesty has been reigning for 59 years, Brian has been scouting for 59 years! 1st Hope Scouts will also be lighting a beacon on top of Caergwrle Castle. Overall there will be 4,000 beacons lit all across the UK which will culminate with the Queen lighting the national beacon in London at approximately 10.30pm. You can join the friends of Ponciau Banks for a Jubilee Celebration on Tuesday 5th. Lots of fun and games, a fairground and a live band on the bandstand at Ponciau Banks. 1pm-4.30pm. Contact 01978 844028.